Welcome to our smile gallery. Our dentists and the team have a strong passion for creating and helping patients achieve beautiful, long lasting dentistry. Hence our motto: dentistry for generations. All of these patients have received dental care by our dentists either at Ocean View Dental or at previous workplaces. These images are not stock standard files from the internet, these are real patients who have been under our dentist's care. If you would like to discuss how to improve your smile or what dentistry for generations means for you, call our team on (08) 7231 1816. *Individual results will vary and a personalized plan will be discussed with you during your consultation. Any surgical or invasive procedure carries risks. Before proceeding, you should seek a second opinion from an appropriately qualified health practitioner. 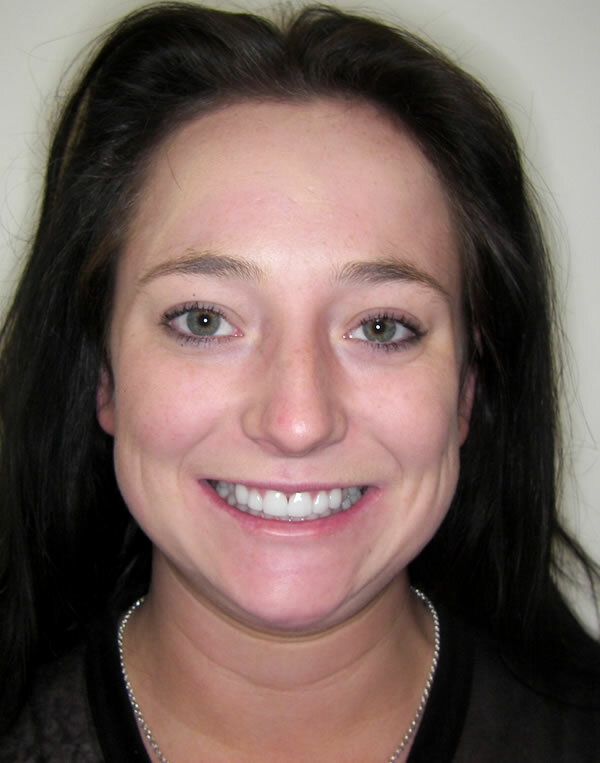 This young woman came to see Dr Kanter to improve her smile. She wanted to have a more even smile without chipped edges or gaps between her teeth. She also wanted a whiter smile like television stars. 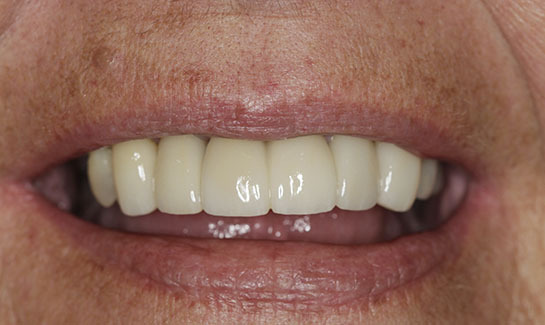 After discussing several options, our patient chose to have porcelain veneers on her upper teeth. Our patient was thrilled with the result as it was exactly what she wanted. 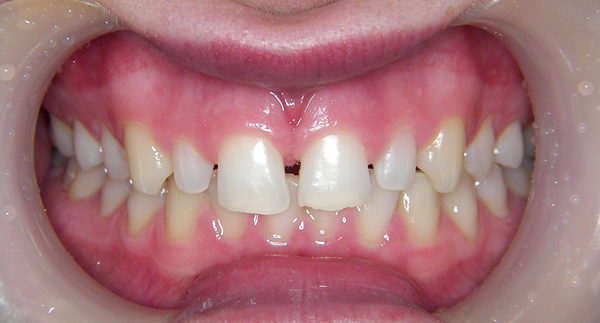 The same patient demonstrating what a change a dental treatment can make. 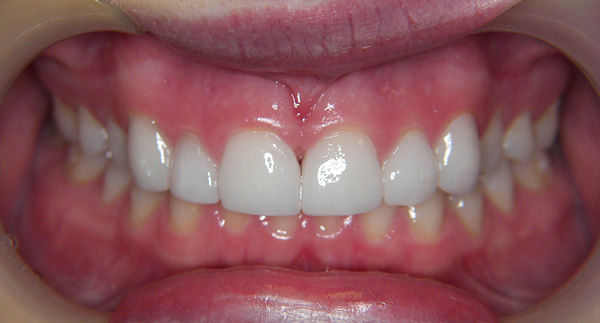 Our patient was very embarrassed by her smile and was interested in getting veneers to address this. Dr Kanter explored a variety options to ensure our patient could make the best decision for her new smile. Our patient was initially very nervous about attending due to a bad experience when she was younger, however our caring female team has helped ease those nerves away. 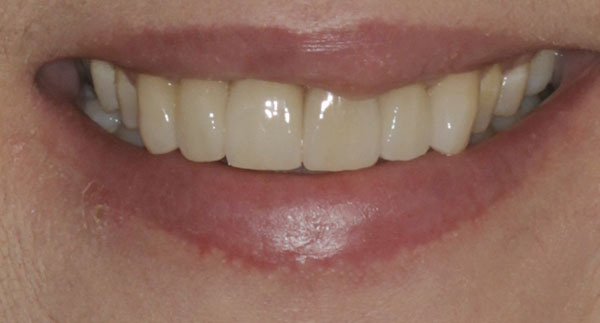 Our patient had custom made ceramic veneers to improve the appearance of her smile. We used a highly skilled, Adelaide based dental technician to design and construct the veneers. We have to say we love how natural and beautiful our patient’s new smile looks – she mentioned that her cheeks were sore after the first couple of days of having her veneers from smiling so much! Our beautiful patient was referred into our clinic by a family member. 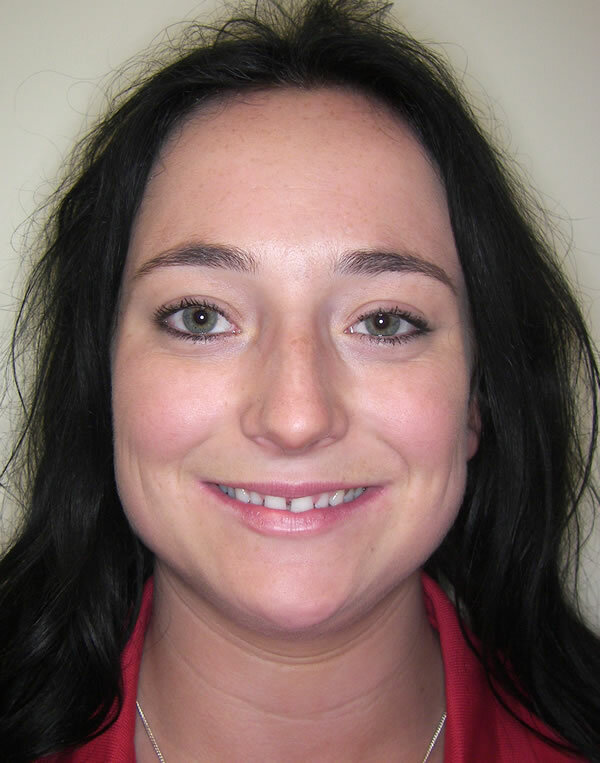 She initially came to us due to a chip in her front tooth but was also dissatisfied with the overall appearance of her smile and front teeth. Dr Anna Kanter discussed several options to suit our patient’s needs, wants, time frame and finances. 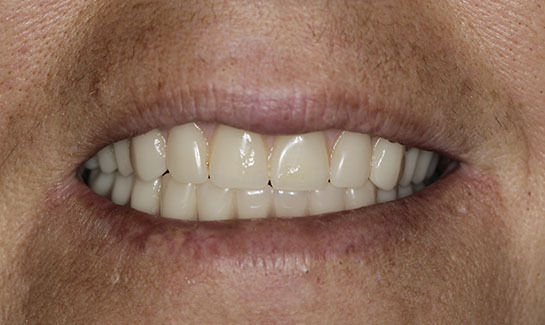 Our patient made the final decision to go ahead with custom made ceramic veneers to improve the appearance of her smile which lengthened the teeth to their original shape. 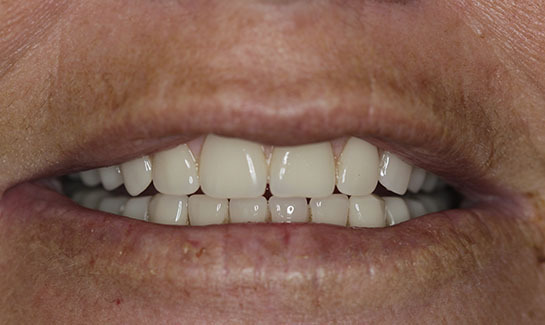 A mockup was done to ensure our patient would be happy with final veneers. We used a highly skilled, Adelaide based dental technician to design and construct the veneers. The details of the natural teeth were replicated onto the ceramic so the teeth had a natural appearance rather than a fake look. Our patient is absolutely thrilled with the result and loves her new smile. This lovely middle aged gentleman had noticed his teeth were getting worn and shorter. He was keen to protect them from getting worse but he wanted something that looked natural and matched his other teeth. We discussed building up the worn aspect of the teeth in a matching colour. After the work was completed, he had a protective guard made to protect his teeth in the future. This man came in wanting to fix his upper front teeth. 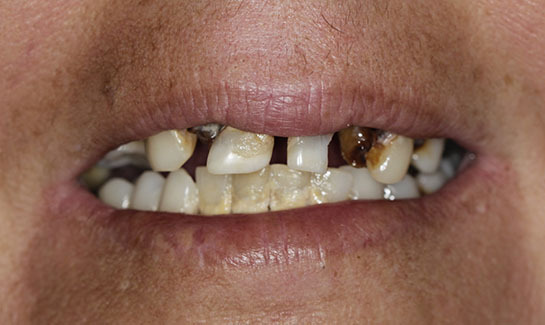 Years of knocks from playing football, drinking sports drinks and grinding his teeth at night had taken their toll on his mouth. 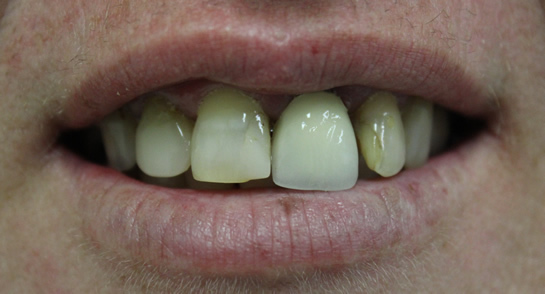 After reviewing all available options, the patient chose to have resin veneers placed on his top four teeth. This procedure was completed in one appointment. Dr Kanter and the patient discussed preventative strategies to ensure optimal longevity of the veneers including diet changes, constructing a mouth guard and constructing a preventative grinding guard. 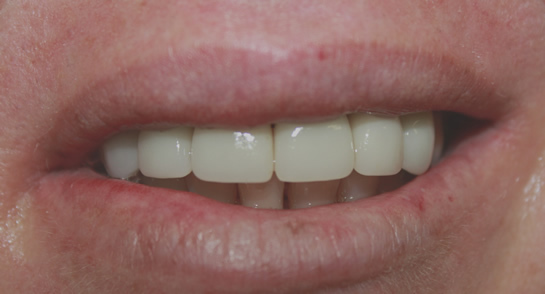 Our patient was very happy to have his front teeth back to their original shape and length. 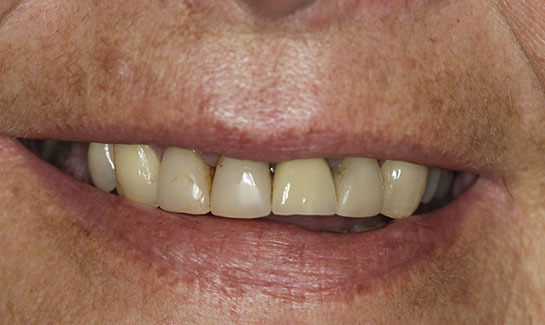 This patient had been seeing Dr Kanter for several years for preventative treatment before she decided to improve her smile and strengthen her teeth. 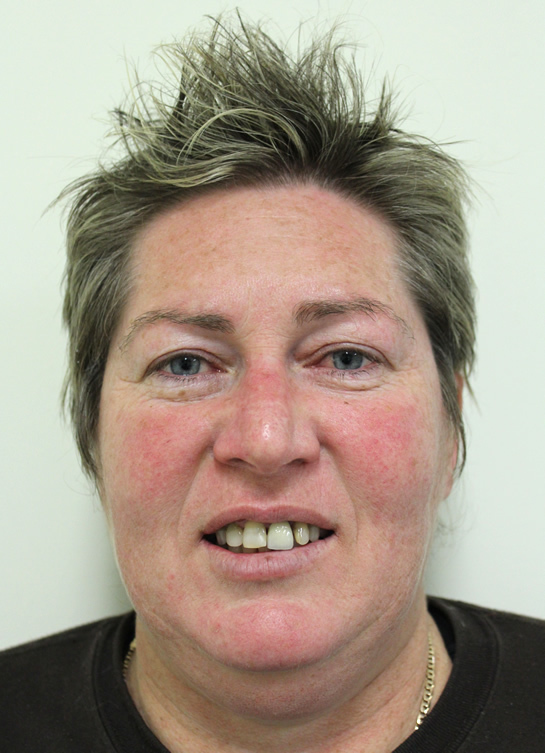 Although she was a bit anxious about the procedure and having such a dramatic change, she and Dr Kanter reviewed the treatment plan and even tried in a 'mock up' option prior to commencing treatment. This 'mock up' allowed our patient to view the result prior to changing anything and allowed Dr Kanter to demonstrate a few possible options. 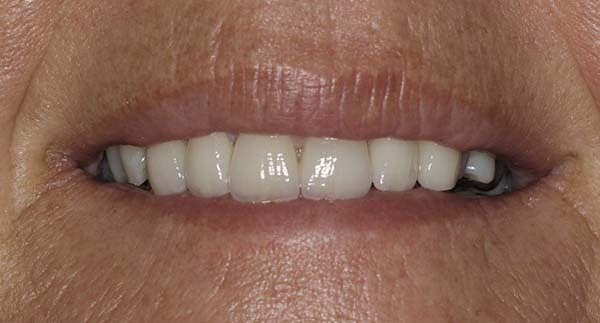 Our patient chose to replace her old existing crown on her front tooth and place ceramic crowns on several other teeth to align them, whiten and brighten her smile and protect some of the teeth from fracturing. Our patient and the whole dental team were delighted with the result! The whole process allowed our patient to realise that dentistry has come such a long way and no longer has to be uncomfortable or difficult. 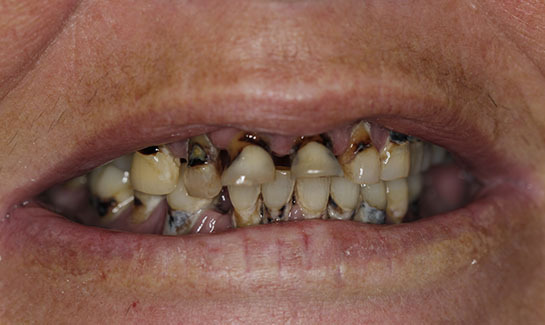 Several years after completing the treatment, her teeth still look amazing and her overall dental health was also great. Our female patient was welcomed to our practice for a smile makeover. The patient had not had any proper dental care in years and has been very embarrassed by her teeth which has stopped her from smiling. Following her initial consultation with Dr Kanter, the patient was happy to proceed with her dental care at our clinic. 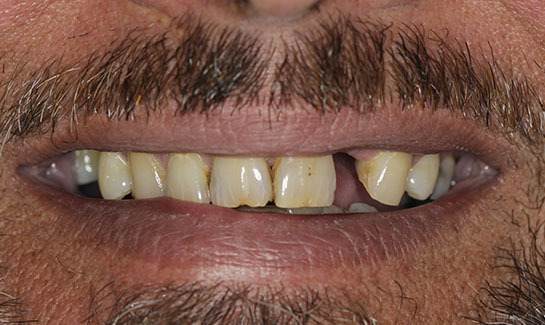 The patient chose to have full upper and lower dentures. She is very happy with the result and can enjoy smiling again. Our lovely female patient was interested in improving her smile and protecting her existing upper teeth which were heavily filled. 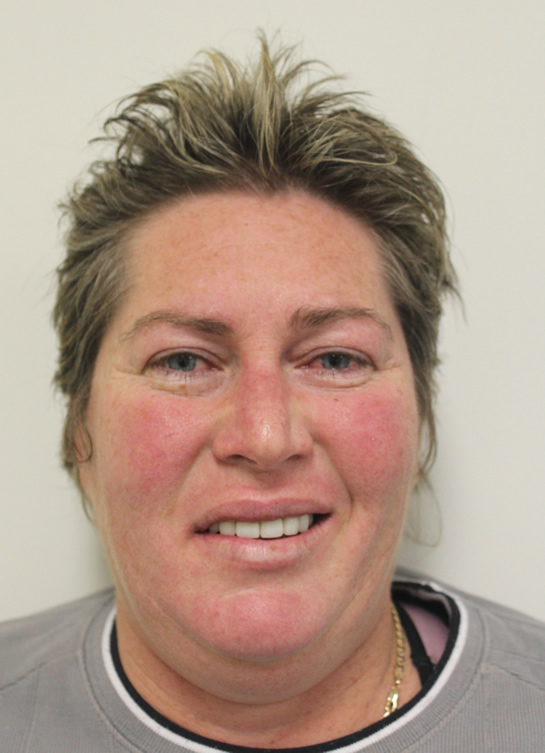 After her initial consultation with Dr Kanter and discussing several options, the patient decided to go ahead with porcelain crowns on her upper teeth. The patient wanted them to look natural and match her other teeth. 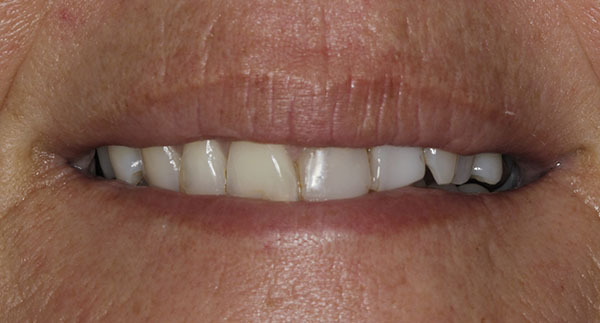 Our patient absolutely loved the final results and looks forwards to continuing her dental care at our practice. This lovely man came in to seek our advice regarding the gap in his front tooth. He had a denture made previously but hated wearing the removable denture so he was keen to have a tooth which would just stick in place. After taking photos and x-rays he decided to improve the whole look of his mouth not just the one gap. 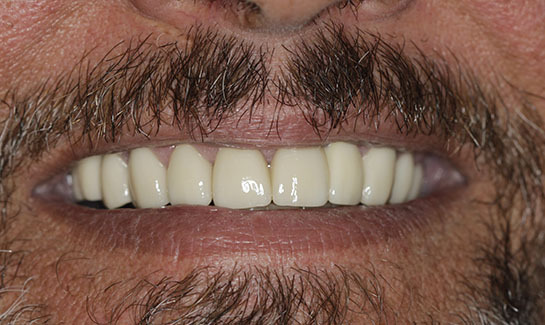 He opted to have ceramic crowns and bridges to whiten his smile, lengthen the teeth back to their original shape (rather than have the worn teeth he had for years) and provide a fixed tooth replacement for the gap. Dr. Kanter and her team were able to complete this work using a local Adelaide laboratory and our patient was thrilled with the result. He is now smiling much wider! Our female patient came to our practice wanting a complete smile makeover. 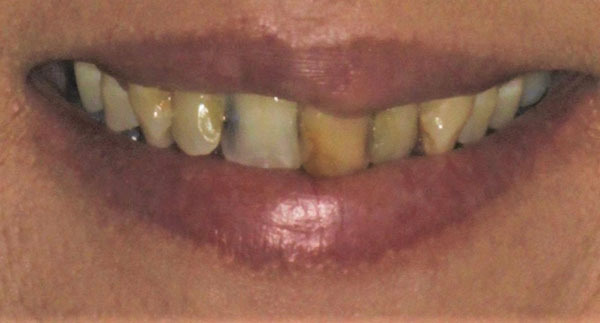 Our patient was very embarrassed by her teeth and smile, she had not received any dental care in many years. Dr Kanter and the all-female team at Ocean View Dental always have a non-judgmental approach to caring for our patients, Dr Kanter explored this patient’s option to ensure the best decision was made in-line with our patient’s goals. The patient decided to proceed with her dental care at our practice. The patient was very pleased with the results and has the confidence to smile again.